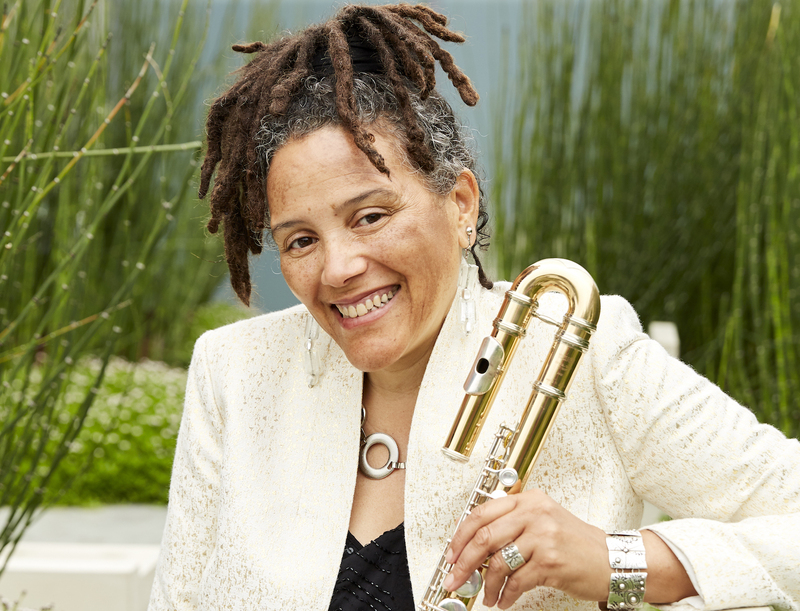 The University of Pittsburgh has named Nicole M. Mitchell, an award-winning creative flutist, composer, bandleader and educator, as its William S. Dietrich II Endowed Chair in Jazz Studies, effective July 1, 2019. Mitchell also will be the director of the Jazz Studies Program and a professor in Pitt’s Department of Music. She becomes the third director in the program’s 49-year history, succeeding the late Geri Allen, who passed away in 2017. She will be the first to hold the endowed chair. Mitchell currently is a professor of music at University of California, Irvine, teaching composition and improvisation in the graduate program of Integrated Composition, Improvisation and Technology. She was also vice chair of the University’s Council on Climate, Culture and Inclusion. Mitchell is perhaps best known for her work as a flutist, having developed a unique improvisational language and earning repeat honors during 2010-17 as “Top Flutist of the Year” from the Downbeat Magazine Critics Poll and Jazz Journalists Association. “Coming to Pitt is a special moment, a sort of calling for me to bring my full self, where I feel a refreshing openness and enthusiasm from the Pitt community to share my vision,” said Mitchell. “I have big shoes to fill, following the incredible work Geri Allen accomplished, making connections between tradition and innovation. I’m excited to explore the full spectrum of creative possibilities for jazz at Pitt,” she added. The 2018 recipient of the Champion of New Music award from the American Composers Forum, Mitchell is the founder of Black Earth Ensemble, a multi-generational and gender-balanced group that celebrates its 20th anniversary in 2018. She also was the first woman president of Chicago’s Association for the Advancement of Creative Musicians. At Pitt, Mitchell will work closely with the faculty to lead the Jazz Studies curriculum, teach courses and mentor students. She will also represent the program within the University and the wider community. Jazz Studies at Pitt includes the annual Pitt Jazz Seminar and Concert, outreach programs, the peer-reviewed journal Jazz and Culture, the International Academy of Jazz Hall of Fame, and the William R. Robinson Recording Studio. Jazz Studies also includes the student-based Pitt Jazz Ensemble, founded by Nathan Davis; presents an annual campus concert every spring and has performed internationally in Brazil, Jamaica, Switzerland and Trinidad. Professor Mitchell will have a leading role as the liaison between the Jazz Studies Program and the Pitt Jazz and Erroll Garner Archives in Archives and Special Collections of the University of Pittsburgh Library System, as well as a new collaborative relationship with the Manchester Craftsmen’s Guild Jazz program. The Department of Music offers the Bachelor of Arts degree in a liberal arts curriculum and the Master of Arts and Doctor of Philosophy degrees with concentrations in Composition and Theory, Ethnomusicology, Musicology and Jazz Studies — the nation’s only PhD in jazz research and performance.